I may be a bit paranoid about this one, but I wash everything in cold water, even my whites (although I’ll do a warm water wash every now and then, on my whites or if I have a really stubborn stain). I love my deep, saturated colors, and hate hate hate when they fade, so a few years ago I began washing only in cold water and using detergent marketed to give deeper cleans in such. Does it really work? I don’t have a test group washed in warm water to compare, so I don’t really know. But it makes me feel better and my colors still look pretty darn good if you ask me. Am I just caving in to clever marketing? Maybe. Uses: Dark colors, or anything you prefer to wash in cold water (in my case, everything). Tip: Another thing I do to keep my darks dark: wash them inside-out. I love these things! I use them to wash anything delicate or snag prone, and toss them in with my regular laundry loads. I wash my sweaters, bras, and even sock liners in these mesh bags. Do you like to wash hand-washables on the delicate cycle in your machine (I do!)? Toss them in one of these to ensure nothing will happen to them. They protect sweaters from getting wrapped up, stretched or snagged, bra hooks from hooking other clothing items, or any other damaging thing your clothing could do to each other. I’ve learned through trial and error that ones with finer mesh and places to tuck away zippers are better for avoiding accidental snagging and hooking. 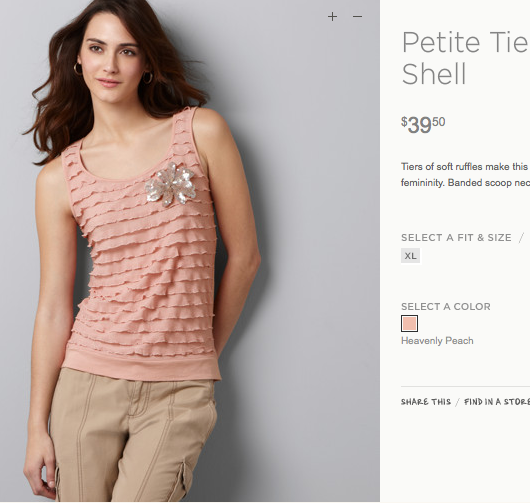 My current favorites are these from The Laundress that I picked up at an outlet store a few years ago, but these are similar and highly rated on Amazon (I like that there’s a black one for darks). Uses: Delicate knits, hand-washables, lingerie, stockings/tights, items with hardware or hooks, anything heavily detailed that may snag. Some things can’t be dried in the dryer. Maybe they’ll shrink. Maybe fibers or elastic will degrade from the heat. In this case it’s best to air dry them, and instead of covering your entire house in draped wet clothing, might I suggest a nice drying rack? I like ones made with a mesh shelf that allow you to spread an item out flat to prevent stretching, which is especially nice for delicate knits. I also have one like this from my college dorm days that is still going strong & gets lots of use. Most fold up for easy storage. Uses: For air drying delicates, lingerie, stockings/tights, knits, items you don’t want to shrink. I haven’t ironed my clothes in years thanks to this beautiful, marvelous device! We actually own two…a large stand-up one for regular house-hold use, and a small one that we take when we travel. Seriously, steaming is so much faster and easier than ironing, I go around suggesting them to everyone. Super deep wrinkles will still require a pass with an iron, but a steamer has been great for everyday de-wrinkling use. 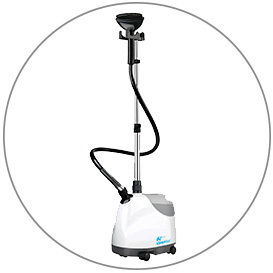 If you’ve worked in retail, you might have strong opinions on which garment steamers are good to buy, and I’d love to hear your thoughts! I bought this one years ago and it’s still going strong, although reviews on Amazon are mixed so I’m sure there are better ones out there (this one looks promising). Maintenance includes using distilled water (to avoid deposits gunking up the water tank and hose) and cleaning by running a 50/50 mixture of water and white distilled vinegar through the system every now and then. Tips: Be careful of the steam…it’s very hot and will burn you! Don’t press the stream right up against silk…it’ll pucker (been there, done that). Instead, hold the steam a little distance away from the silk and watch the wrinkles gently fall out. 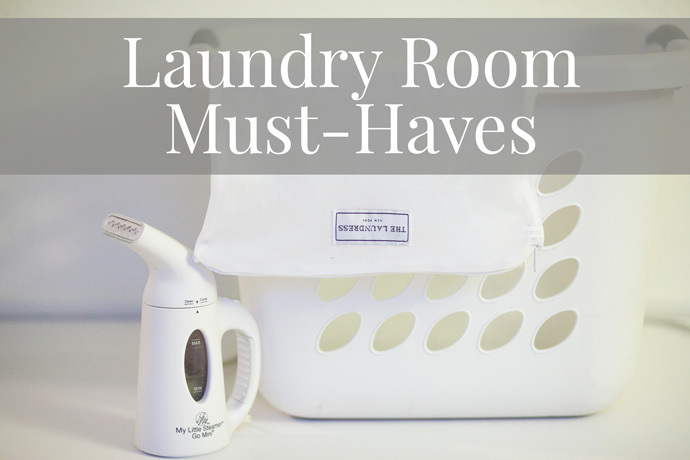 Do you have a laundry room must-have I didn’t mention? I’d love to hear it! You need to try these wool dryer balls – fabric is so much softer and decreases drying time :) I still use dryer sheets for the clean laundry smell, but these work better in the soft dept! I am a clean freak too… I do at least one load a day. I always wash my towels and bed sheets in hot water with Clorox. I have the jiffy steamer and love it. Thanks for the helpful and informative post. Wool dryer balls and white vinegar. And, yes, I use my drying rack for almost all my clothing. Machine drying is murder for textiles. A few products I’ve grown to love. A few years ago I started buying only high quality French lingerie and this has made them last forever. I wash them separately on the handwash cycle on my machine. This is my favorite tool for drying bras. I hang this right on my shower rod! I would add two items to your excellent list. First, Oxy-Clean is the best stain remover I’ve ever used. No rubbing, no scrubbing–just add it to your wash and all the stains are gone. 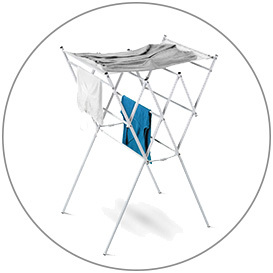 Second, Shout Color Catcher sheets allow you to wash mixed colors with no problems. 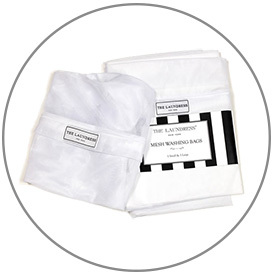 The sheet traps and absorbs any loose dyes in the wash so the color doesn’t end up on your clothes. Great recommendations Judy! I’ve seen those color catcher sheets before and was curious if they really worked. When you use Oxiclean, do you pre-treat your stains at all? Or just toss them in with the Oxiclean? Do you add regular detergent too, or is Oxiclean enough to clean & stain remove all in one? Kelly, the color catcher sheets really do work! I started using them after a poor dress of mine came out of the wash with red stains on it (red seems to be the worst for loose dye floating around). I’ve never had anything like that happen since. You can absolutely pre-treat with Oxiclean (for major stains, soak the items either separately or with the rest of the load for 30-60 minutes, then wash normally with detergent). Oxiclean is a detergent booster, so a normal load (with minor stains) needs both detergent and Oxiclean. I’m surprised that you mentioned Tide as one of your favorites. It’s a myth that laundry detergents need warm or hot water to clean. Any detergent works fine in cold. 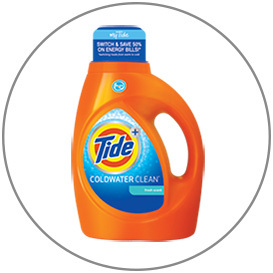 But Tide contains phosphates, dioxane, and petroleum. While P&G has announced they will be phosphate-free in 2 years, in the meantime there are a ton of great detergents that are phosphate, carcinogen, and petroleum free. I like Ecover for fabric softener, or Whole Foods 365 brand. For detergent, I use 7th Generation, Biokleen, or 365. They do a great job – and the HE 3x concentrated detergents get me 300 loads for one bottle. My other must-have is a clothesline. In the summer, we hang all of our clothes outside most days [I live in New England, and it’s generally dry mid-day]. In the winter, I hang them in my kitchen. I have a wood stove, and not only does it save wear & tear on my clothes, it cut my electricity bill by 2/3. Plus I get the benefit of adding humidity to the dry fall/winter air. Lastly, I love Oxyclean pre-treat spray. A few squirts and most of the things my kids do to their clothes come right now. 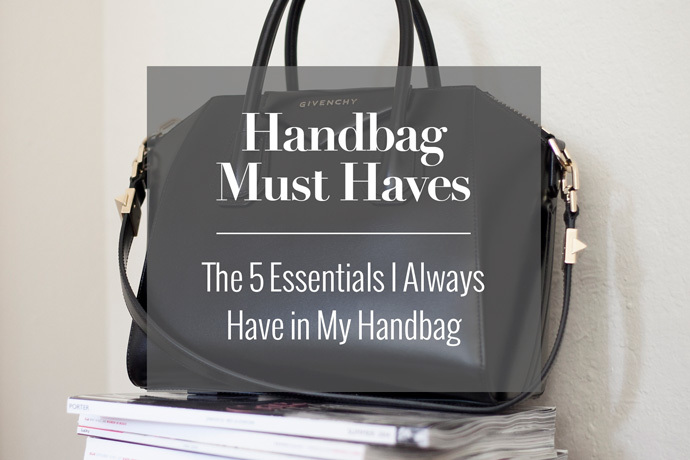 I am really happy to find this post because I don’t have all of these things! It will be great if doing the laundry is easier! Thanks for the post! Greets, Kenley Carpet Cleaners Ltd.
Re-reading a lot of your posts today, apparently. I want to get the mesh bags. I never wash my delicates in bags, but mb I should. and Amazon suggested those wool balls Stephanie recommended and I’m soooooo getting that. and per Julia S, I’m using greener products these days, so I’m eliminate conventional products full of bad chemicals too, but I don’t expect other people to do so bc I do think the chemical-laden products work better. I also bought the wool dryer balls, and they work great! They don’t eliminate static like dryer sheets do, so be mindful of stray socks or underwear hanging onto your shirts/pants in the morning. I might start tearing dryer sheets into small squares to add to the dryer, just so some of that static gets eliminated. So I also bought the wool dryer balls for my bf’s machines, but have not tried it myself. I”m glad I checked back here to see that they don’t get rid of static. That’s really too bad, but oh well…it’s more eco-friendly. Do you know if I should still hand wash tights? or can I put it in the mesh bag and throw it in the delicate cycle and it’ll be ok? Love your blog! If my socks go in the dryer, they go in a mesh bag. This makes looking for the stray sock so much easier. I am not sure why, but I don’t like washing them in the mesh bag, they come out funky!